Anyway, I thought it would be fun to send Matt my review of Usher’s Passing for Horror Novels Review. It’s strange reading something you wrote twenty-nine years ago, and it feeling as if it were yesterday. So, here’s my review for better or worse. I made a few changes in it so that the reviews flows better and gives you a clearer idea of what I’m attempting to say. I started Usher’s Passing yesterday afternoon at around four o’clock with the intention of reading a few chapters and then heading to the movie theater to see Dreamscape with Dennis Quaid. That didn’t happen. It’s now after four in the morning, and I never made it to the movie. In fact, my eyes look and feel like an audition for a Visine commercial and the finished copy of Usher’s Passing is lying here on the table, next to my typewriter as I try to find the right words to get you to make a mad dash to the bookstore and buy this terrifying novel. For the past several years, Robert R. McCammon has consistently turned out what I consider to be top-of-the-line horror fiction. His newest novel, Usher’s Passing, is certainly his most daring work, and I venture to say his best to date. 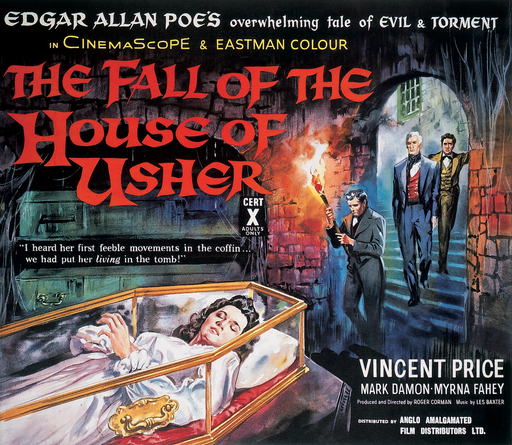 The plot of is centered on a simple premise: What is the Usher line of descendants had not ended with the deaths of Roderick and Madeline in Edgar Allen Poe’s classic short story, “The Fall of the House of Usher”? What if there had been a third sibling, a brother named Hudson Usher, who was alive to carry on the family name into the future, as well as the family’s dark malignant secret? As I had never read Poe’s classic short story, this gave me a good reason to do so. I should point out that reading the short story is not a necessity for enjoying the novel, though it helps to set the tone and atmosphere for what follows. Usher’s Passing begins in 1847 as Hudson Usher tenaciously searches through the unsavory sections of New York City, hoping to find the famous writer. He eventually does, but a series of confrontations follow concerning the slanderous short story written about the Usher family. This when Hudson discovers to his complete satisfaction that Poe knows nothing about the true nature of the Usher madness. From this point on, the novel jumps to the present and focuses its attention on Rix Usher, who is really the main character of the book. Rix, a once famous writer of horror fiction, is now on the verge of having a nervous breakdown due to his wife’s suicide and his floundering career. News that his father is dying forces him to face his worse fears and to return to the Usher Estate in Asheville, North Carolina. It’s in Asheville that Rix will have to deal with the intrinsic evil of the Usher Lodge—a place with hundreds of rooms and a maze of corridors which will bring back memories of the Overlook Hotel in Stephen King’s The Shining. It’s here in the lodge that his childhood fears began to fester when he was boarded up in the dark, mysterious place for two long days and encountered something so terrifying that it purged itself into the forgotten regions of his subconscious. Only one person will be able to save Rix from the consuming deviltry of the lodge, a young boy named Newlan Tharpe, who lives on Briartop Mountain with his widowed mother. Newlan, a mountain boy through and through, has unusual powers that even he is unaware of. These, however, start making themselves known when Newlan’s younger brother is kidnapped and murdered by the dreaded Pumpkin Man—a legendary figure responsible for the deaths of more than 300 children in the region surround the Usher Estate. It is then that Newlan begins to realize that the answers to all the unexplained questions lie within the cold darkness of the lodge and that he must go there, no matter the danger, to fulfill his own destiny. I should point out that this is only the tip of the iceberg. There are numerous sub-plots, characters, and flashbacks that fill the pages of Robert R. McCammon’s newest novel. Suffice it to say that the first chapter will literally grab you by the collar of your shirt and drag you screaming and fighting to the very end. Hopefully, you will come away from this experience as I did knowing the author does indeed have a clearer understanding of what true evil is. Mr. McCammon sums it nicely when he has the Mountain King tell young Newlan that the only purpose of evil is to destroy love. There’s my review from twenty-nine long years ago. 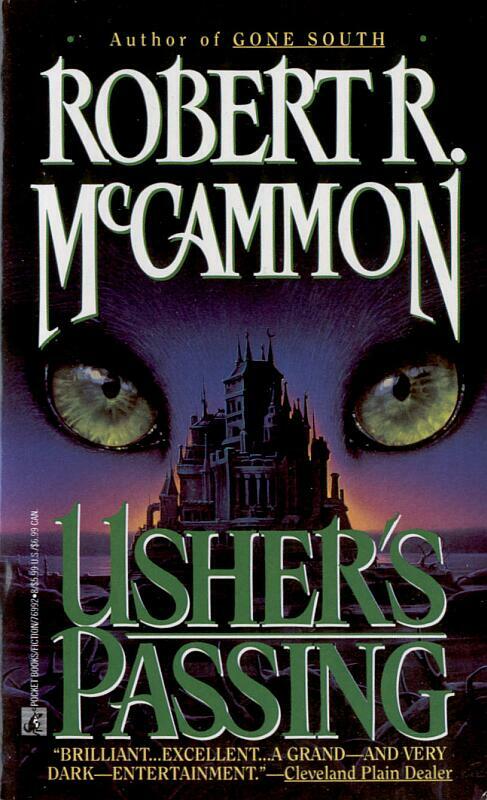 The horrifying aspects of Usher’s Passing are just as true today as they were back in the heyday of horror fiction. Don’t just sit there. Go out and get yourself a copy of this fantastic novel! McCammon’s work is always great, full of great characters and strong pacing. I love his new stuff but the 80’s period up to The Wolf’s Hour is my favorite. Love this guy. Bethany’s Sin is a top 10 for me. When you walk in the Woods walk as fast as you can , For in the Woods walks The Pumpkin Man ! Not forgotten any of this fantastic book . I can’t recall how many times I’ve read this book and each time I am spellbound, even though I know what is happening. It is a horror classic!